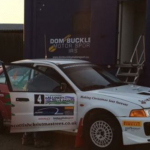 Straight after the rally the team set about washing the car off and converting the car to Tarmac as Brian had entered into his local rally, Dukeries Rally which was held at Donnington Race Circuit the following Sunday – 25th October. 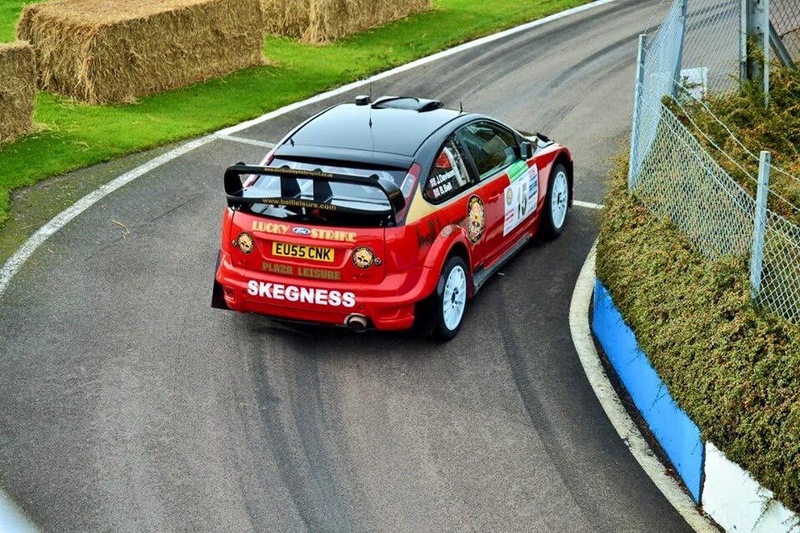 Having never really driven on tarmac in his first spell at rally driving Brian had not a lot of experience and the Ford Focus 2007 specification he drives now is a lot different to his old 2002 specification car. A small test was arranged for the Thursday to fit in with business commitments. After the test was complete we gave the car a check over and headed to Donnington on Saturday ready for the Sunday. Although he really enjoyed the event, a day was full of small spins and stalls with the car taking a bit of getting used to and he finished 16th overall for the second weekend running but this time with Josh Davison on the notes. 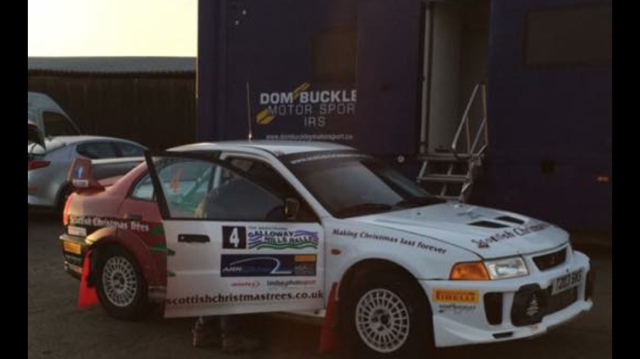 On the same day as the Dukeries we had other members of our team in Scotland providing support for Rory Young in his Evo 5 at the Galloway Hills Rally. Rory has had limited seat time this year with only 3 or 4 rallies in a hired R5 Fiesta but rolled out his Evo 5 for this event. He set very quick time on the first stage but hit a bridge and bent the steering arm. At service the team managed to repair the steering and get Rory and long time navigator, Allan Cathers on their way again. They set about the leaderboard to climb back up to 9th overall at the end of the day. John Stone had recently sold his Skoda Fabia WRC and has done a couple of events in his own 2 wheel drive Peugeot 206 and one in a Porsche. 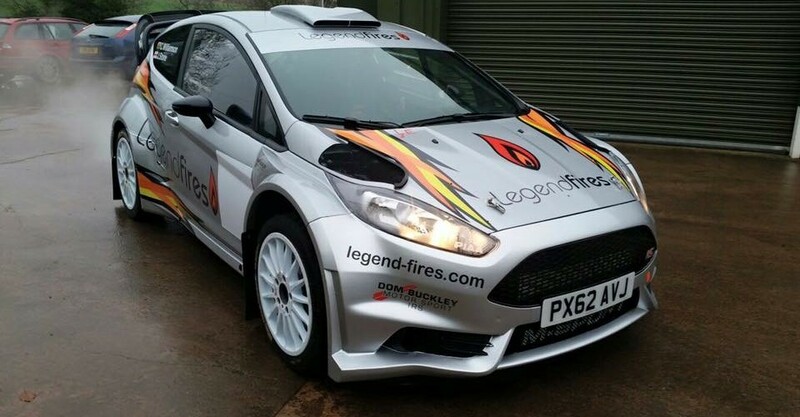 For the Pokerstars Rally in the Isle of Man he hired an M-Sport R5 2 Ltr Fiesta. With no time for a test John and Carl Williamsons first taste of the car would be the first stage. The typical Manx weather for the start on Saturday morning would make that learning curve John had in front of him a very steep one. He was soon getting to grips with the car and was never out of the top 10 stage times and was lying 5th overall when he was caught out on a very fast section with standing water and an accident put an end to their rally. Driver and co-driver were both unhurt in the accident. 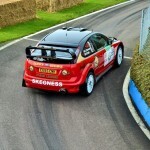 The following week Shaun Sinclair was entered in the Kingdom Stages at Crail Raceway in his Subaru S9 WRC. Shaun had his wife navigating for him in an event that was aimed more for fun than anything else for Shaun. Spectators were impressed by his driving style which led to him looking more out of the side windows for where he was going. He set a couple of 2nd fastest stage times on his way to 5th overall.